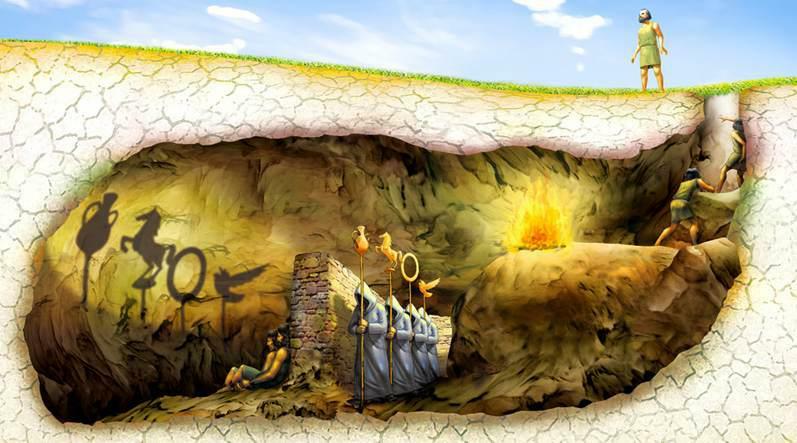 I stumbled onto this image a few days ago and it reminded me a whole lot of Plato's Allegory of the Cave. I strongly encourage you to learn the morals of the allegory, for it provides a generalization of society's structure. Another representation of society's repercussions is exemplified within Aldous Huxley's Brave New World. These two ideals, along with the image that inspired me to write this post, detail how a lot of what we do is essentially a distraction that keeps us unaware of what's truly occurring around us. We are constantly bombarded with propaganda, and more information than we need in order to keep us away from what truly matters. Another problem that occurs is that we inherently avert any type of deep contemplation, and instead seek quick gratification and satisfaction. The temptations that surround us every minute only enforce these innate habits that prohibit most of civilization to think critically of important events. Thus, as Plato depicts, the majority of us are left looking at what we perceive as reality, not ever realizing that we have been living beneath the real world our entire lives.